Kapaza is a site for free classifieds ads where you can buy just about anything. The fast-growing brand wants to encourage people to sell even more items on their website. Because anyone can make a sale. Kapaza wants as many people as possible to get the goosebumps you get when you actually make a sale. 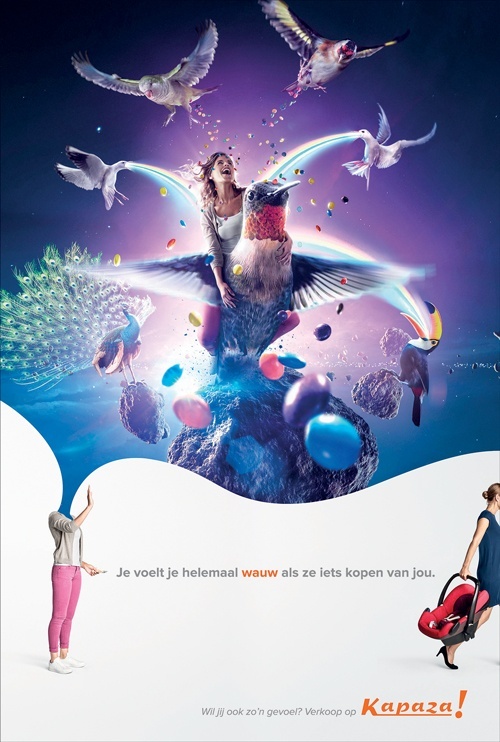 BBDO is launching its first campaign for Kapaza: print, radio, banners and social media. Through each of these media we see and hear the new Kapaza universe. A universe presenting that indescribable sensation you get when you make a sale. That winning feeling of success and victory. 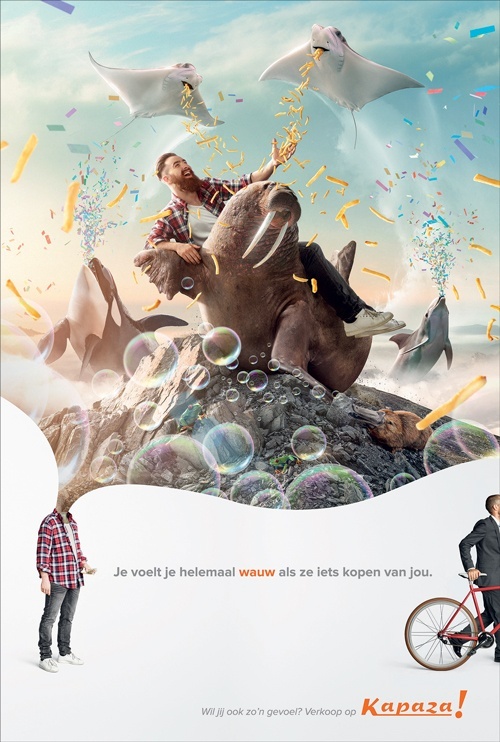 Kapaza’s slogan is the central message in the new positioning: ‘The way you feel when you make a deal’. The radio commercials talk about how you get goosebumps when you sell a car or sports gear. The print and outdoor ads, banners and social posts visualize that exact same wow feeling.